When Katrina and I went to Good Guys 2009 Heartland Show in Des Moines we knew we would see some terrific cars. 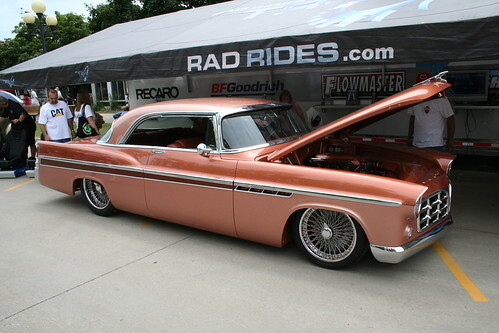 We also knew that Rad Rods by Troy(Troy Trepanier) builds some of the best customs and hot rods anywhere. 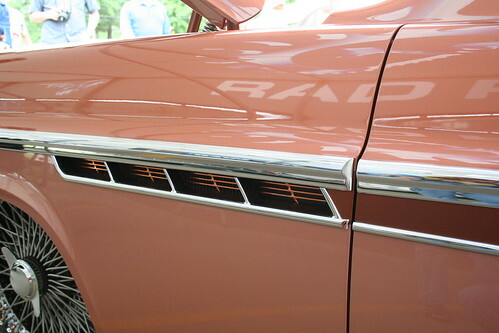 However, when we walked up to the Rad Rides display we realized we had underestimated the both the show and Trepanier. 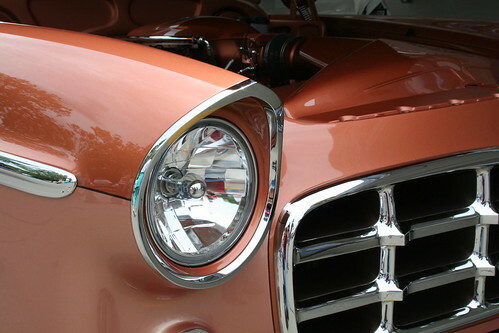 This 1956 Chrysler 300B has to be one of the most beautiful Chryslers in existence. 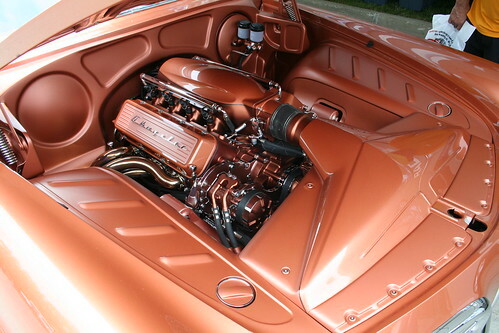 This car was built to be driven but it is so beautiful and well detailed I can’t imagine putting it on the road. Trailers have their place and cars are met to be driven, they are machines. I love to drive all of our cars but I do put them on a trailer behind the motor home for long hauls. I don’t consider any of them trailer queens just because they ride on a trailer once in awhile. This Chrysler is also not a trailer queen but I sure would put it on a pedestal! It would be a thrill to drive this car but it is almost a shame to touch it. It appears to be so perfect that it deserves to be a trailer queen. I many cars at shows that are detailed with “chromed this” and “polished that” and exhaust systems that will out shine a diamond in Paris Hilton’s navel. They are just over done for the purpose of being memorable. They remind me of the pretty girl at the dance who wears so much makeup you can’t see the real beauty she is. Such cars make me want to take them out and get them dirty and burn some rubber. This car has no such weaknesses; it is a full tilt show car but is so elegant it looks as natural as a new production car. Not that it is cheap in any sense of the word but because it is so well designed everything looks natural and proper. This car wants you to act like the big brother and keep all the horny teenagers away from your little sister the home coming queen. The chassis is hand built with all Dodge Viper suspension and brakes. Even GPS is provided. 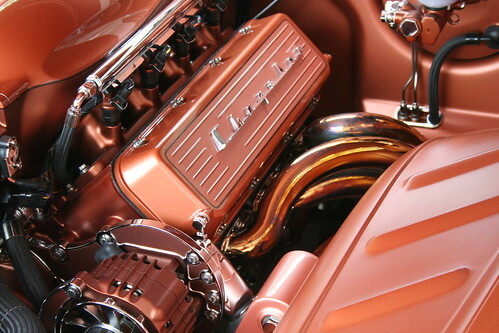 Who can look at this engine compartment and say you have to use lots of Chrome to make an engine bay beautiful? This, in my mind, is one of the most beautiful I have ever seen. 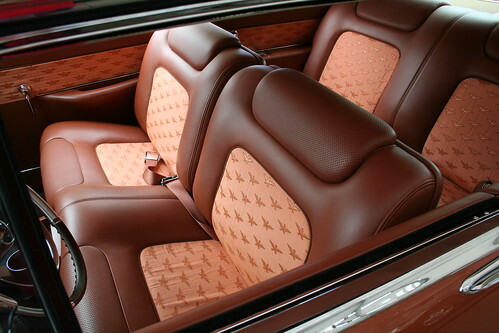 To see more photos and to learn more of the cars specifications go to our Feature Car page.